Trivandrum, February 15, 2012: Dhathri Group, a leading Ayurvedic product manufacturer from Kerala has released its Ayurvedic journal titled Dhathri Ayurveda Medical Journal. The Journal which is published on behalf of the Dhathri Ayurveda foundation will be a monthly journal which will feature information about various lifestyle diseases, ayurvedic treatments, health tips and lot more.. The journal was published in the ongoing Global Ayurveda meet held at Trivandrum. The foundation plans to provide a copy of the journal to all ayurveda doctors, medical colleges and hospitals in the state. 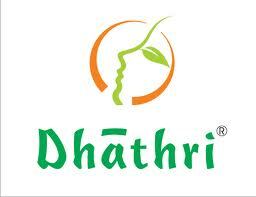 The Dhathri Group is a leading consumer products and wellness service provider in the Ayurveda segment in Kerala. Hailing from an ancient tradition of Ayurveda, Dhathri is known for the authenticity of the products and services. Dhathri has created a strong brand presence in the hair care, skin care, general health care, slimming products and wellness services stream.